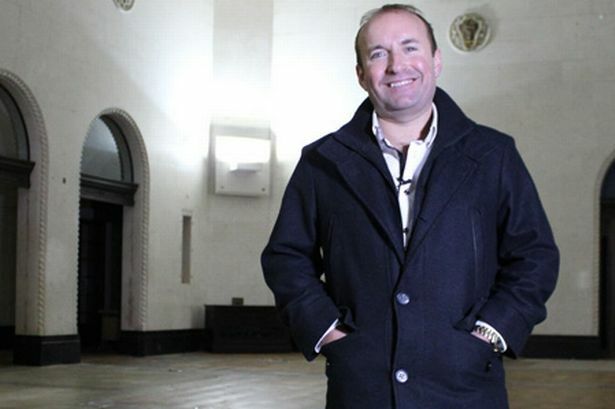 A self-made millionaire who set up a ‘bank’ in his home town for those who couldn’t get credit anywhere else wants to duplicate the scheme in Birmingham – and bring a historic building back to life. Dave Fishwick – star of Channel 4’s Bank of Dave – claims there is now a two-year waiting list to pay in to his Burnley Savings and Loans and is aiming to repeat the model in the Midlands to serve individuals and businesses. Part of the plan could see Mr Fishwick revive the former Birmingham Municipal Bank in Broad Street, which has stood empty for more than a decade. Mr Fishwick, who also runs the largest minibus supplier in Britain, noticed many of his customers were unable to obtain loans from high street banks after the credit crunch so decided to do something about it. Adopting a back to basics approach, he obtained the necessary licences to issue loans last September and, after seeing how little savers were got elsewhere, offers an impressive five per cent return. Profits from the scheme go to the community. Mr Fishwick said: “We lend £25,000 a week and we take in £25,000, that’s £100,000 a month, £1.2 million a year and £3.6 million over three years. “We give five per cent net and I’m lending it at slightly more than that. We have lent to hundreds of businesses already. While in the city, Mr Fishwick visited the derelict head office of the former Municipal Bank on Broad Street, which was established in the aftermath of the First World War as a savings bank for the citizens of Birmingham. The council-owned building, which has a Grade II preservation order, has been empty since 2001 and is earmarked for offices as part of the long-awaited Arena Central and V-Building development. Mr Fishwick, who wants to end a culture of “greed and bonuses”, said the bank could be reopened for the community. “Money was released to banks and the banks sat on it 300 hundred miles away,” he said. “They need to go back to old-fashioned banking. A lot of bank managers would never have run a business.